Foreign ministers from 10 Southeast Asian Nations will call for a “comprehensive and durable” solution to the when they meet informally for their annual retreat in Chiang Mai later this month, according to a draft of a statement to be issued then. 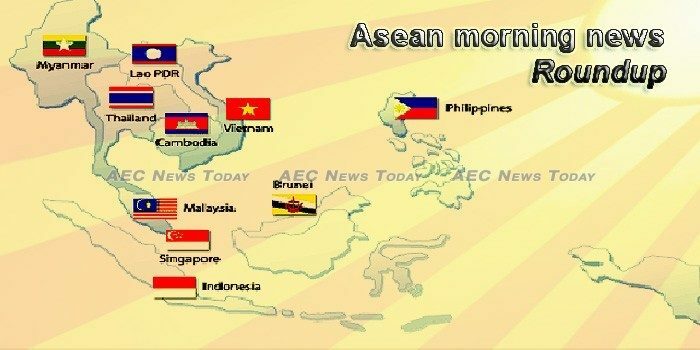 The 10 member states of the Association of Southeast Asian Nations appear poised to express concerns about island-building in the South China Sea for a second straight year when their foreign ministers gather next week in Thailand, making another allusion to Chinese activity. Thailand’s Department of Trade Negotiations is preparing for the ASEAN Senior Economic Officials Meeting due to take place between January 12th and 18th. The meeting will be the first such meeting since Thailand assumed the bloc’s chairmanship. MEMBERS of parliament are urged to keep the human rights agenda in sight while focusing on freedom of religion, said Rev Dr Hermen Shastri. A British amphibious warfare ship passed through the South China Sea in August and China, Asia’s strongest military power with a claim to almost the whole waterway, expelled it. Earlier this week, Lao announced a year-long plan to draw more Chinese tourists to the country through its Visit Laos-China Year 2019. Stabler local currencies and lower oil prices have eased cost pressures at Asian manufacturers, who still face slumping external demand, according to the latest Nikkei Purchasing Managers’ Index survey. Last November, Russian President Vladimir Putin and the leaders of ASEAN member states met in Singapore to make a historic decision on elevating the ASEAN-Russia Dialogue Partnership to a strategic level. It rained all day on Sunday in Port Blair in South Andaman Island, as the remnants of cyclone Pabuk spread over the Andaman and Nicobar Islands. The ASEAN Student Council has organized a conference to inspire the region’s youth to protect the environment, combat corruption and be good citizens. From boarding a plane to paying for groceries, facial recognition has become a part of our everyday lives. The construction of ASEAN Secretariat Building in South Jakarta which is now 85 percent complete is scheduled for completion in March 2019, Indonesian Minister of Public Works and Housing Basuki Hadimuljono said. Over three hundred Rover Scouts from seven countries gathered in Berakas, Brunei Darussalam from the 12thto the 17thof December 2018 for the 1stASEAN Rover Moot. ASEAN was not hospitable to the Uyghur population when they arrived as refugees. Southeast Asia could see a resurgence in M&A activity this year – particularly in Malaysia, Indonesia and Vietnam. The new amendments to the law governing the extraction of gemstones in Myanmar are expected to offer relief for the gem industry in Mandalay. Bandarban, Bangladesh – Panic is gripping thousands of Rohingya Muslim refugees living in no-man’s land on the Myanmar-Bangladesh border, with daily clashes between Myanmar security forces and ethnic Rakhine insurgents. The average inflation rate increased for eight consecutive months from March to November last year, according to the Ministry of Planning and Finance. Investment applications in Thailand reached a total of 902 billion baht ($28.2 billion) worth of projects in 2018, 43 percent higher than requests the previous year and beating a target of 720 billion baht, the state investment agency said on Wednesday. Whether emboldened by the outpouring of public support from around the globe or due to the boost it is giving the country’s stature, Thailand is continuing to play hard-ball defending the human rights of Rahaf Mohammed Mutlaq al-Qunun. At the same time Australian-based refuge Hakeem AlAraibi languishes in a Bangkok prison. Honda Thailand Foundation’s (HTFs) Honda Khiang Khang Thai Fund (HKKT Fund) is a familiar site to the nations poor and minority rural dwellers, dispensing blankets and warm clothing ahead of the cold season, and pitching in at times of natural disaster. Though continuing investment in their production bases, foreign-invested automobile manufacturers in Vietnam are placing high expectations on car imports.